For many years growing up in Washington our family planned a yearly trip along parts of the Cascade Loop. It became an integral part of our lives as we explored the theme towns, campgrounds, parks, and lakes that are so prevalent along the loop. You are invited to join in the tradition of the many Washington families that make either full or partial Cascade Loop trips. 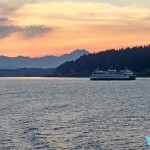 Plan to visit the towns during festivals, or just take in the majestic views of the awe-inspiring Cascade Mountains. The Cascade Loop | Washington’s Ultimate Roadtrip from Voortex Productions. See the Cascade Loop Video Guide below to find the different areas from the video. Situated on 3,000 acres high above the old Western theme town of Winthrop, Washington, Sun Mountain Lodge is a Cascade Mountain resort with a broad range of both summer and winter activities. Wedding and conference facilities are also available. Photo of Diablo Lake in Washington state, USA, with Davis Peak in the background. Check out Hart’s Pass Campground. Great views. Alpine meadows. This forested campground is located in the Hart’s Pass Area, near the Pacific Crest National Scenic Trail. No trailers allowed on Forest Road 5400 to Hart’s Pass (very narrow road). The longest lake in Washington State, Lake Chelan is 50.5 miles (81.3 km) long. Located in Chelan County in the north-central part of Washington State, the narrow lake is a prized destination for many thousands of visitors each year. With lake activities, festivals, and Chelan Wineries and Tasting Rooms, you’ll find plenty to fill a few days in your journey along the Cascade Loop. Newhalem is a unique feature along the Cascade Loop. Owned outright by Seattle City Light, Newhalem is a company town populated entirely by employees of the Skagit River Hydroelectric Project and government employees. 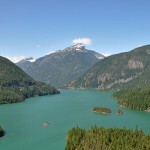 The Ross Lake National Recreation Area surrounds Newhalem on all sides, and the North Cascades National Park boundary is approximately one mile to the north and south of the town. Note that Newhalem is the final place on Highway 20 to purchase supplies before crossing Rainy Pass and entering Eastern Washington. 0:24 | Ovenell’s Heritage Inn, Concrete. Deception Pass State Park is outstanding for breath-taking views, old-growth forests, abundant wildlife, sand dunes, 174 varieties of birds, spectacular views of shoreline, mountains, islands, and sunsets make this park a favorite for visitors to the Northwest. In the winter, Chickadee Trailhead gives access to many crosscountry ski trails west of Patterson Lake. In summer months those trails are hiking and mountain bike trails. 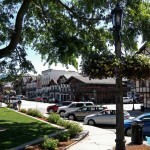 Leavenworth is a village that has themed itself after the villages in Bavaria. Surrounded by mountains that look very similar to the mountains of Bavaria, the village is filled with residents that have taken the them to heart. In Leavenworth you’ll find everything from Bratwurst and Sauerkraut to nearly monthly festivals and events. Well known for it’s famous Christmas Lighting Festival, you’ll find it to be a charming village and recreation destination to visit year round. Be sure to visit some of Leavenworth Wineries and Tasting Rooms while you are there. Wenatchee is home to a growing collection of wineries and tasting rooms. Enjoy a scenic ride to altitude with stunning views of Lake Chelan, the Cascade Mountains, and the Columbia River. The Steven’s Pass Greenway Scenic Byway forms the southern section of the Cascade Loop. This scenic loop drive takes you from ocean beaches to Centeral Washington orchards to the Columbia River valleys to one of the highest Cascade Mountain passes. 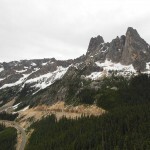 At the Highest point on North Cascades highway you’ll see Liberty Bell Mountain from the Washington Pass Overlook. The short loop trail winds across an outcrop of Goldenhorn granite to an overlook (natural rock platform) perched 700 feet above highway. 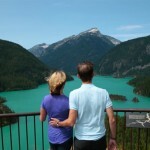 Plan ahead to stop and take a Diablo Lake Boat Tour. 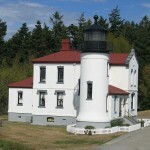 Seattle City Light has been offering the popular Diablo Lake Boat Tours for more than 80 years. a Skagit Tours guide will lead you on a short guided walk to the boat dock as you hear about some of the area’s natural history, biodiversity, and geology. You will also learn about the unique relationship between the environment and the three hydroelectric dams, which provide clean, low-cost, renewable power to the citizens of Seattle. Sun Mountain Lodge offers luxurious guest rooms, a full service spa, 5,000 bottle wine collection with private wine cellar, and a AAA-rated four diamond gourmet restaurant. North Cascades National Park is nicknamed the “American Alps” for a reason. It’s one of the most remote and rugged parks in the U.S., and a hike into its solitude and grandeur is unforgettable. Embark with a naturalist on a North Cascades tour through the park’s alpine meadows, across its rocky ridges, and among an endless sea of jagged peaks veneered by blue glaciers. Watch for black bear, mountain goats and bald eagles. Explore an historic hydroelectric dam. Then visit the communities outside the park for organic berries and delectable wine. 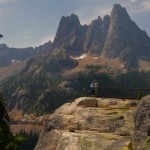 Departs from Seattle Downtown hotels or from Sun Mountain Lodge in Winthrop, WA.